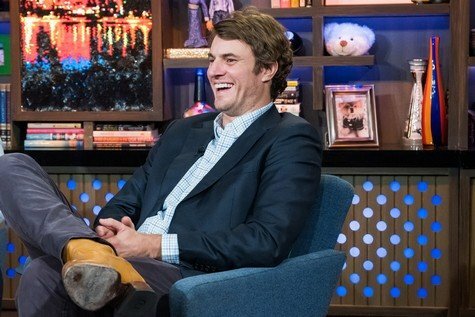 Shep Rose is primarily known as a lovable goofball. The mailbox money collecting Southern Charm star is not usually known for his bad temperament. Of course, like anyone being filmed on a daily basis, glimmers of Shep’s anger surface from time to time. Usually directed towards castmate Craig Conover. And his fashion choices…love of sewing… and fondness for stretching the truth. Now, it seems that our Shep has gotten himself into a bit of a social media feud. With none other than The Rock. And Shep also managed to drag the wildly popular chef and entrepreneur Guy Fieri into the mess. Shep recently tweeted this post: “They are never going to stop making fast and furious movies. My question is..who keeps paying to see them? I don’t know one person that does. Guy Fieri?” Considering that The Fast and The Furious movies are a part of a huge, beloved franchise, those seem a bit like fighting words! In response, The Rock fired off his own tweet: “haha crazy right when you think about the franchise over the years has made over $5 billion globally. Oh, and I know one guy who watches.. my buddy Mark Zuckerberg. Crazy, right! ?” Meaning The Rock trumps Shep’s one Twitter account with 2 billion Facebook accounts. The Southern Charmer also clarified his dig at Guy in another tweet: “The Guy Fieri dig was less about his show, which isn’t bad and shines a light on dive restaurants. But More about the flame across the shirt, wrap around shades, and frosted tips.” I guess Shep left out mentioning the Camaro and the Carhartt shorts. That would have been elitist. Shep delivered the difficult to master compliment-insult to Guy with that one. Mr. Rose, who often looks like he rolled out of bed after a three-day bender (probably because he has!) is hardly one to criticize the personal style of others. After taking some heat on social media, Shep admitted defeat in a final reply: “Forgive me Mr. Johnson [The Rock]. I know not what i do!” Hopefully, this puts the whole matter to bed. At least until afternoon. The time Shep often wakes up! Sometimes with sarcasm, there is more than a hint of truth. Maybe Shep is just jealous that he has to pick up his own mailbox money at the front door. While The Rock and Guy have assistants who pick up their mailbox money for them. With an armored truck. TELL US-WHAT DO YOU THINK OF THIS SILLY TWITTER FEUD? DID SHEP PUT HIS FOOT IN HIS MOUTH? DOES SHEP SOMETIMES GO TOO FAR IN HIS NEED TO BE RIGHT?